We found Nemo! And Dory! Thirteen years ago, we met Marlin and Dory as they searched everywhere to find Nemo, befriending sea turtles, sharks (fish are friends, not food! ), and learned to speak whale. This year, we’ll join familiar fishes once again to find Dory. 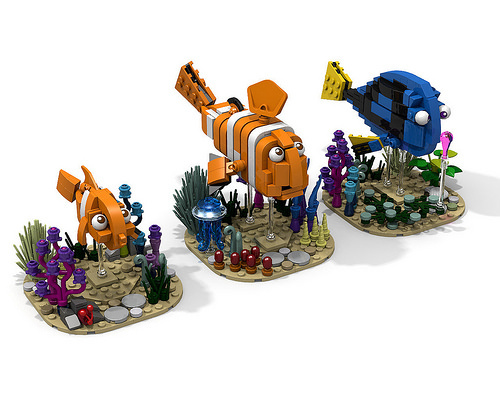 To help us out, BuildFiend has partnered with Nunki-psi bringing us these fantastic digital sculptures of Nemo, Marlin, and Dory.